OSRS account combat level 96 with 75 attack, 95 strength, 45 defense, 97 ranged, 55 prayer, 97 magic, 90 slayer, total level 1581, quest points 205 with Desert Treasure-Lunar Diplomacy-Monkey Madness-Recipe for Disaster done. Fully quested zerk with 90 slayer including dragon slayer 2 and monkey madness 2, pk/pvm ready. come with barrow gloves, void, fire cape, zamorak halo, fighters torso, ava's assembler, rune pouch, skotizo pet, kraken pet, rune defender. 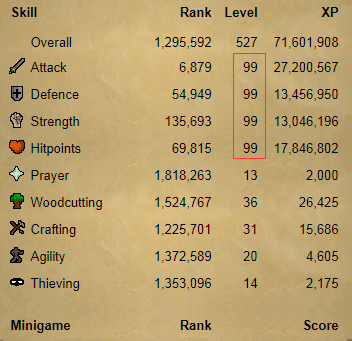 OSRS Account Combat Level 80 with 70 attack, 70 strength, 70 defense, trained by our own gamer, 100% safe to buy. no bans, no offense. 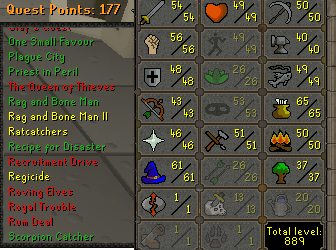 OSRS account Combat Level 65 with 54 attack, 57 strength, 44 defense, 52 ranged, 47 prayer, 62 magic, 48 mining, 53 theiving, total level 898, quest points 176 with barrow gloves. trained by our own trainer, 100% no recover back. no bans. no offense. 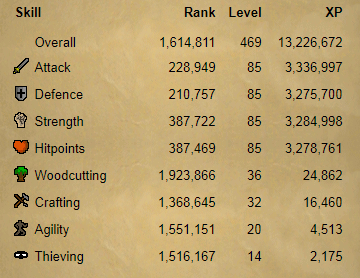 nice zerker pure account. 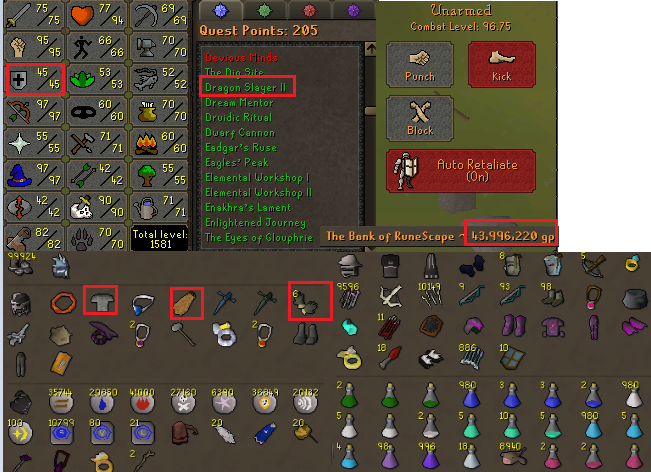 OSRS account Combat Level 65 with 54 attack, 57 strength, 45 defense, 52 ranged, 47 prayer, 62 magic, 48 mining, 53 theiving, total level 897, quest points 176 with barrow gloves. trained by our own trainer, 100% no recover back. no bans. no offense. 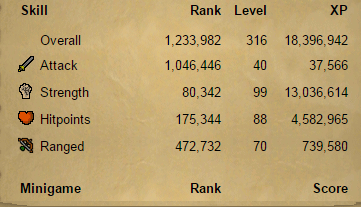 nice zerker pure account. OSRS obby mauler account combat level 53 with 1 attack, 90 strength, 1 defense, 66 ranged, 13 prayer, 50 magic, 92 herb, 55 slayer, 50 construction, total level 576, quest points 11. come with firecape (13 prayer). OSRS account combat level 123 with 99 attack, 99 strength, 99 defense, 99 ranged, 77 prayer, 99 magic, 96 slayer, total level 1914, quest points 219 with RFD,MM,DT done. come with total bank wealth around 600M. 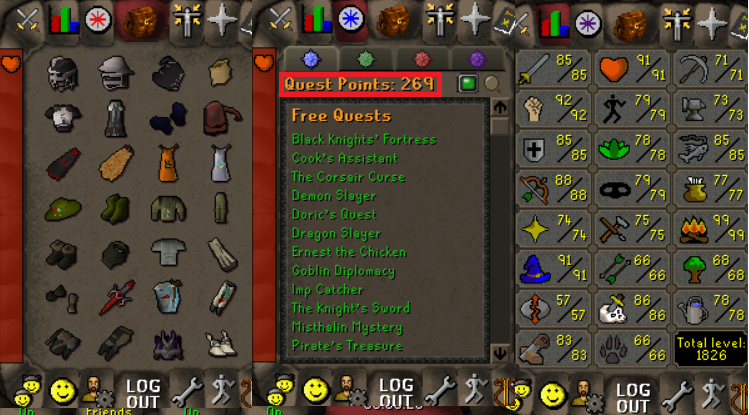 OSRS account combat level 125 with 99 attack, 99 strength, 99 defense, 99 ranged, 90 prayer, 99 magic, 95 slayer, 91 herb, 92 farming, total level 1921, quest points 225 with Desert Treasure-Lunar Diplomacy-Monkey Madness-Recipe for Disaster, dragon slayer II done. 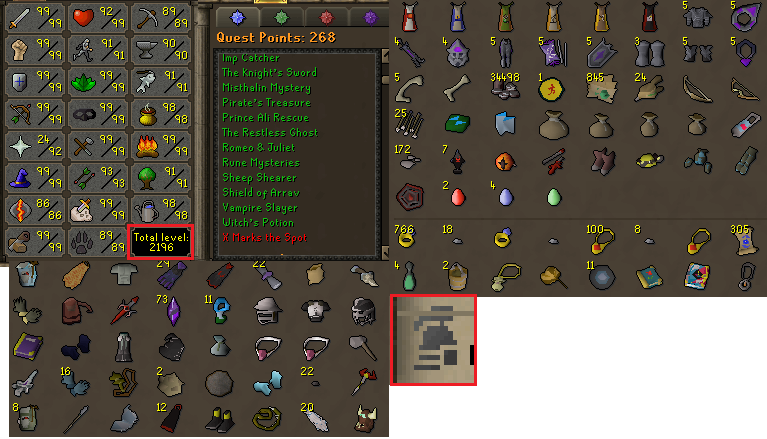 come with Infernal cape, avernic defender, Full Void Elite,great main account for sale. 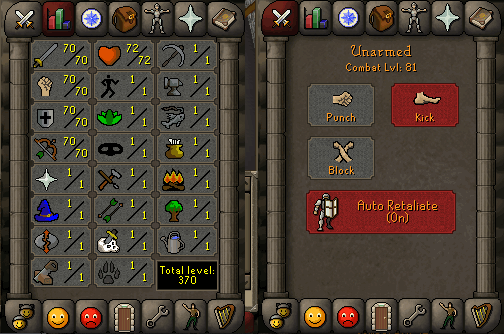 Runescape old school combat level 67 with 40 attack, 99 strength, 1 defense, 83 ranged, 89 hitpoints, total level 330, quest points 0. trained by our own gamer, 100% safe to buy, no bans, no offence. very rare pure account for sale. 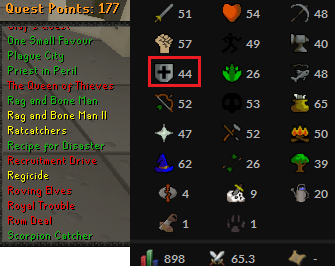 Runescape old school combat level 67 with 41 attack, 99 strength, 1 defense, 75 ranged, 88 hitpoints, total level 322, quest points 0. trained by our own gamer, 100% safe to buy, no bans, no offence. very rare pure account for sale. Runescape old school combat level 67 with 40 attack, 99 strength, 1 defense, 75 ranged, 88 hitpoints, total level 321, quest points 0. trained by our own gamer, 100% safe to buy, no bans, no offence. 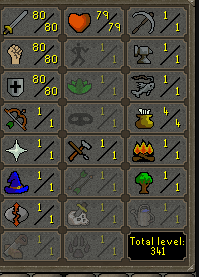 very rare pure account for sale.